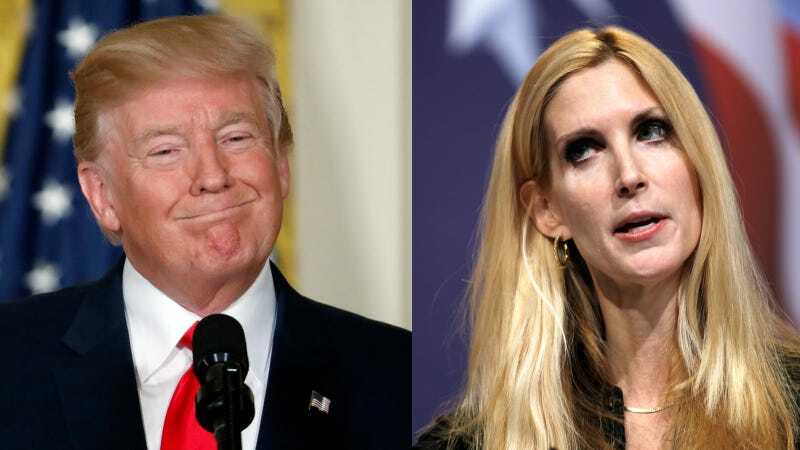 One of the only not truly awful outcomes from Donald Trump’s temper tantrum over his border wall has been watching the meltdown of conservative ghoul Ann Coulter happen in realtime. Maher: So, let me get this straight. You were convinced that Donald Trump was the guy. You voted for him, Donald Trump. And now you’re finding out he’s a lying conman. What was your first clue? Coulter: OK, I’m a very stupid girl, fine. Wow, I agree with her for once? As entertaining as all of this is, Coulter of course knows exactly what she’s doing—by constantly goading an insecure man, she gets what she wants. Last December, just a few days after she called out Trump over caving on border wall funding, he shut down the government. Still, life is short and times are bad, so we must grab joy wherever we find it. Can You Guess the Incredible Twist Ending of This Supercut of Donald Trump Talking About the Wall?